Development economists Joseph Stiglitz and William Easterly debate whether developing nations need more government or more markets. There has been a staggering reduction in global poverty over the last four decades. In China, sustained rates of economic growth have lifted 800 million people out of extreme poverty. Ethiopia, a country once synonymous with famine, has grown faster than China while nearly halving its poverty rate over the last 15 years. Across the planet, developing countries large and small, from India to Ghana, have seen astonishing successes in alleviating poverty, exceeding even the most optimistic economic forecasts. How did this extraordinary shift happen? Do poor countries need more markets, or more government? 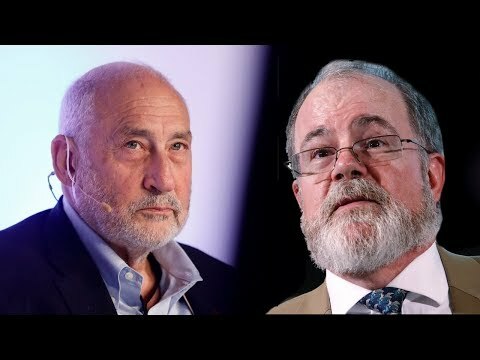 Two of the world’s best-known development economists, Joseph Stiglitz and William Easterly, met on August 27, 2018, at the SubCulture Theater in Manhattan’s East Village to debate these questions. The event was sponsored by the Soho Forum, a monthly debate series partnered with Reason. Soho Forum Director Gene Epstein moderated. Easterly is a professor of economics at New York University and a senior fellow at the Brookings Institution. He argues that China only achieved stellar growth rates after the Communist Party started to recede from economic life and created a space for markets to thrive. Likewise, Ethiopia prospered only after the disintegration of a repressive Communist regime, known as the Derg, paved the way for widespread privatization of industry and commerce.